This post was written by John Herrema, SVP Corporate Strategy, Good Technology. Pundits are proclaiming 2011 the “year of the tablet” as over 15 million iPads and myriad competitive devices continue to leap off shelves. But will the tablets infiltrate the enterprise and will they be proactively purchased and deployed by companies? Or are tablets just another consumer gadget for watching videos, using apps, and playing games? Recent research shows that companies are rolling out tablets to their workforces at a rapid rate – far faster than their past rollouts of devices like smartphones and netbooks. And many more businesses are putting IT systems in place to support tablets purchased by their employees, making these devices a core component of their secure IT infrastructure. According to Deloitte, more than 25% of all tablet computers will be purchased by enterprises this year – an incredible figure when you realize the iPad, the first tablet to gain widespread attention, launched just one year ago. Deloitte also predicts that the 25% figure will rise in 2012 as more companies replace laptops with tablets. “Although some commentators view tablets as underpowered media-consumption toys suitable only for consumers, more than 10 million of the devices will likely be purchased by enterprises in 2011,” according to the Deloitte report. 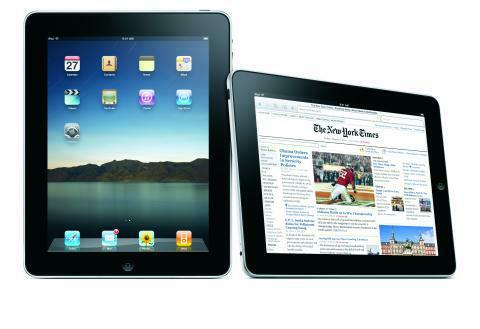 Already in 2010, companies adopted the iPad at a record pace. At my company, Good Technology, we have seen the percentage of iPads activated by our customers rise 0% of all activations in March 2010 to 22% of all activations by the end of Q4 2010. While enterprises across all sectors adopted the iPad as part of their corporate mobility programs, companies in the financial services and healthcare sectors were the fastest adopters. Corporate IT departments already know how challenging it can be to manage secure access to enterprise data across the myriad of iPhones, Android smartphones, laptops, and other web-connected devices their employees use. While companies may provide some of these devices, increasingly they are owned by employees, especially when it comes to smartphones and laptops. And since most workers want to use their personal devices to access email and corporate data, IT teams are looking for ways to consistently apply security policies and manage access across all of the computing devices and platforms they support. Tablets are only adding to this complexity. Despite these challenges, companies are eager to deploy tablets due to their relatively low cost, long battery life, productivity benefits, popularity among users, and developer-friendly operating systems that enable IT teams and enterprise software companies to build custom apps for secure access to corporate information systems. The tablet fits easily in a briefcase, on a conference table, or in the hands of a prospect during a sales pitch. Its convenient instant-on feature is a plus and it is less obtrusive and more interactive than a laptop. What are some other ways organizations are using iPads? Companies are providing board members and shareholders with tablets pre-loaded with important documents at annual meetings; an iPad is waiting for each shareholder on the table instead of a sheaf of paper. Many companies are also giving their mobile workforce access to CRM, business intelligence, sales, and other corporate systems through secure gateway apps designed especially for tablets. Pharmaceutical companies are providing sales reps with tablets so they can present interactive presentations on a “digital whiteboard” to doctors in the field, manage schedules, and map meeting locations. Hotels are giving them to concierges to manage a host of hospitality requests, or providing them in-room to executive guests. Because many organizations pre-load tablets with documentation, videos, handbooks, product guides, HR information, company reports and myriad other documents, paper waste is reduced, and out-of-office productivity is boosted – another great side benefit of enterprise tablets. With tablets, employees can “read up” on work material while at the gym or on plane. It’s clear tablets will quickly become a part of many people’s working lives, and companies will continue to support the roll-out of these new devices. However, the tablet revolution will create challenges for IT departments that are realizing the importance of securely and effectively managing a diversity of tablets with different platforms and apps, as well as a mix of employer-supplied and personal devices. Tablets – more than iPhones and other smartphones – present specific corporate security challenges, because users are more apt to use business-focused apps like collaboration and document-sharing tools that pull corporate data onto the tablets. Whole device management and application-level security will become much more important on a tablet to ensure compliance and explicitly prevent data loss. IT departments will need to deploy robust IT administrative tools to provide secure, easy-to-use, and instant mobile access to data, applications, and services on hundreds of disparate mobile devices – not just tablets, but smartphones, laptops, and netbooks. 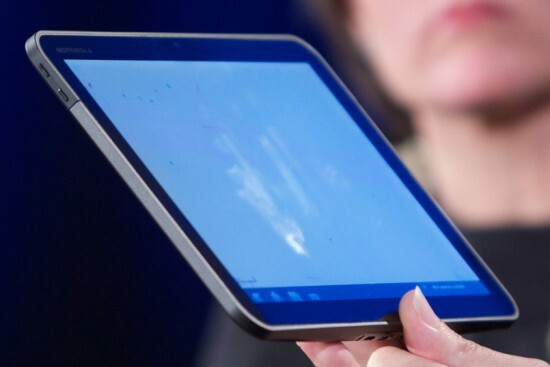 Will 2011 be the year of the “enterprise tablet” – there’s no doubt about it. The real question is which companies and industries will benefit the most by proactively embracing this trend and what the impact will be on those who lag behind.